In the midst of December, though it is really not feeling like it here in the Northeast, not too much is growing locally. It gets difficult to find local or organic veggies, especially when your local farmers’ markets begin closing. 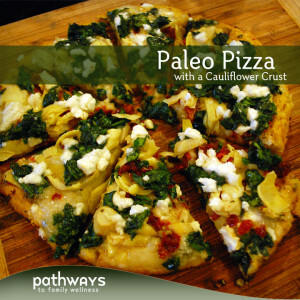 Some of the things we are still able to find organic or local is cauliflower and kale, among a few other things. And a family that must have a vegetable as part of every meal, it’s important to get creative with your ingredients as to not get bored easily. Cauliflower alone can be too simple. Kale alone can be too powerful. Combining the two with lots and lots of garlic? Perfect. 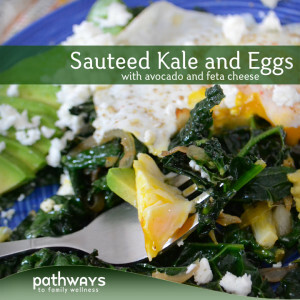 This is a simple side dish you can make with any protein. One you can throw in the oven and forget about (OK, not entirely). You don’t have to continuously stir it on the stove top; freeing up space for other essentials. It’s easy and delicious. 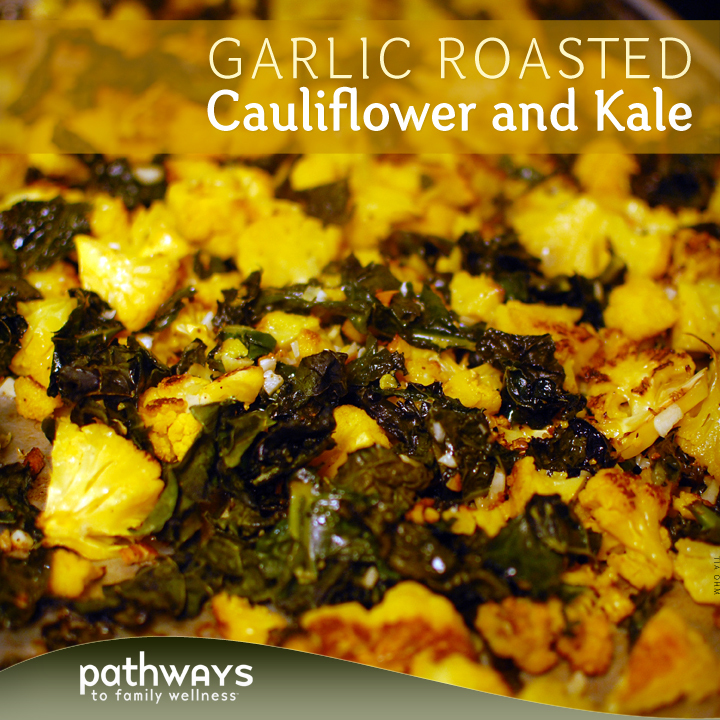 The cauliflower gets nice and browned, and the kale edges become crunchy little bits you aim for. With a pinch of nutmeg leaving you wanting more, this is a go to side dish we will be using for the months to come. 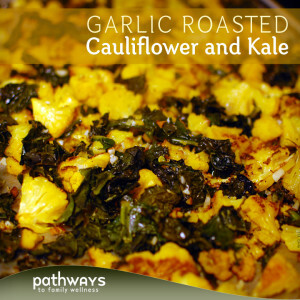 Preheat oven to 350° and prepare your kale, cauliflower and garlic. Add veggies to your baking dish and top with nutmeg, butter, salt and pepper. 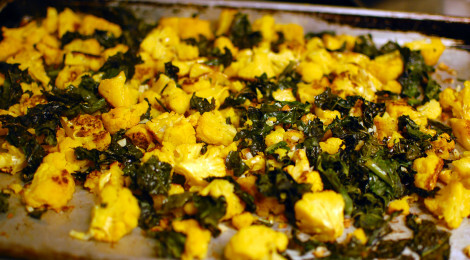 Bake in preheated oven for roughly 25 minutes, stirring occasionally or until browned and cauliflower is fork-tender.